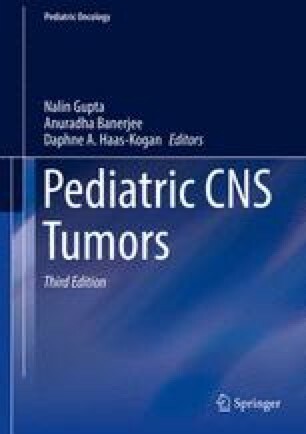 For the majority of brain tumors in children, the extent of resection is the most important factor predicting long-term outcome. This has led many neurosurgeons to be as aggressive as possible during the initial surgical procedure in an effort to achieve gross total resection (GTR; Pollack 1999). It should be recognized that GTR is not the primary goal for tumors, where sensitivity to adjuvant therapy is high (e.g., germinoma), or where there is clear extension into eloquent regions (e.g., brainstem and thalamic glioma). Fortunately, these latter groups represent a minority of pediatric brain tumors (Pollack 1994).